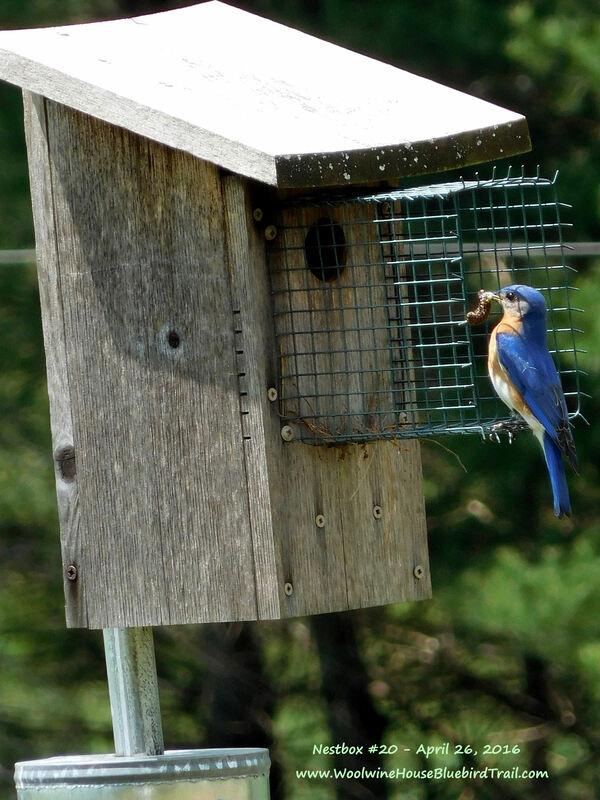 ← BUY A SHIRT / SAVE A BLUEBIRD! 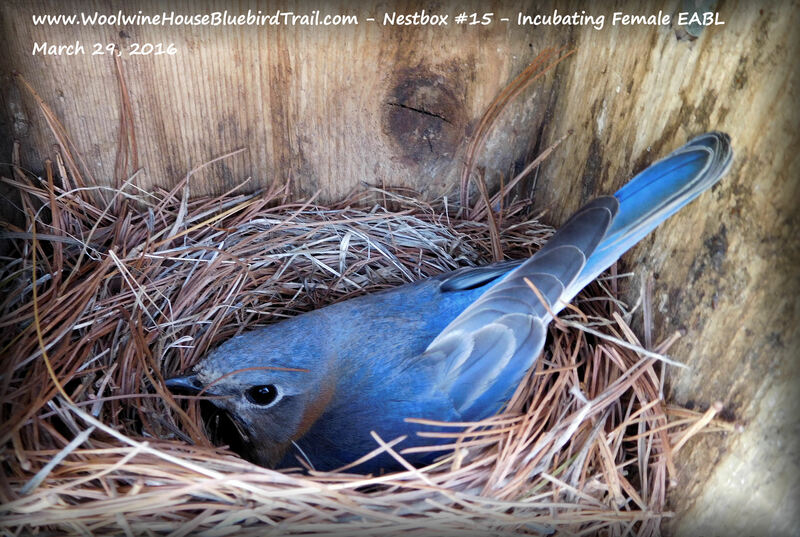 – Fundraiser Campaign to Support Bluebirds – Deadline is April 11, 2016. 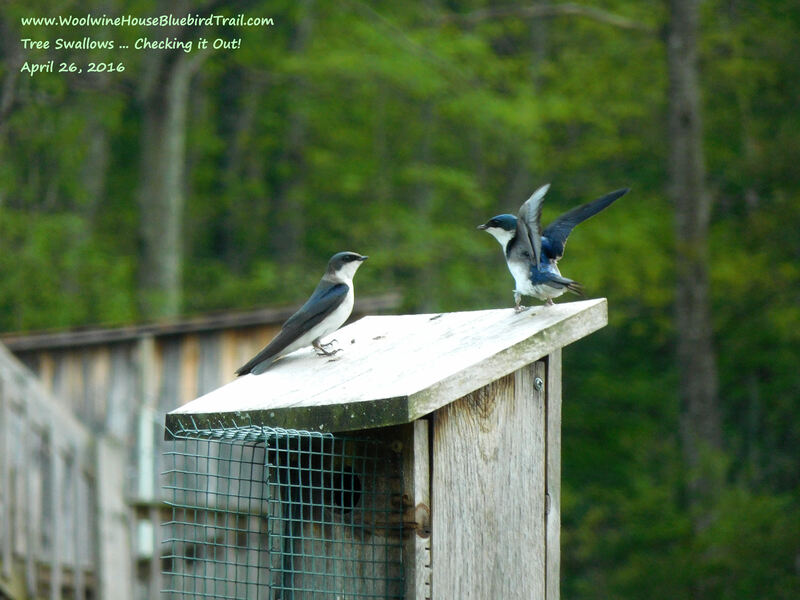 TRAIL UPDATE – APRIL 27, 2016 – WE ARE ON OUR WAY TO A GREAT NESTING SEASON! This Tree Swallow couple is having a blast, it appears. Greetings this Wednesday, April 27th! The trail is well on its way as of this date. I have been very active on the Facebook page, but I would like to report in where we are thus far on first broods of the species — especially for those not following me and the trail activities on Facebook. EABL: 121 EGGS, 81 HATCHED, 13 FLEDGED thus far–still have eggs to hatch and young to fledge. 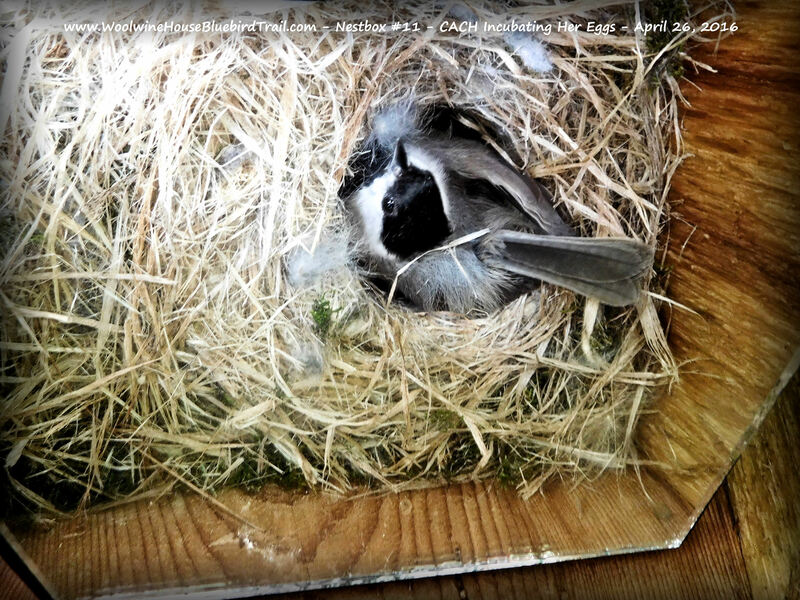 CACH: 2 BOXES WITH 2 NESTS and 9 EGGS, both presently under incubation. TRES: Late start! 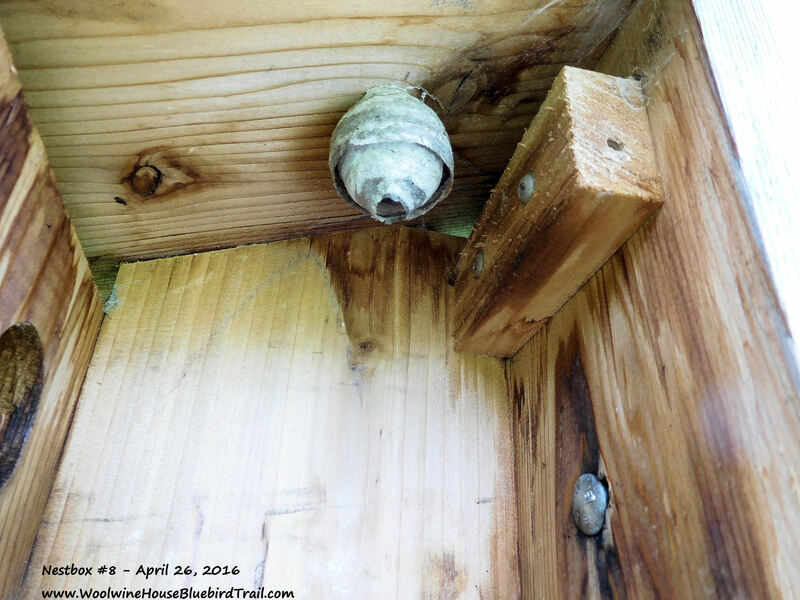 4 BOXES WITH 4 NESTS started, no eggs yet. Pop is bringing in a large piece of delicious insect for his 7-day olds. Down the hatch! 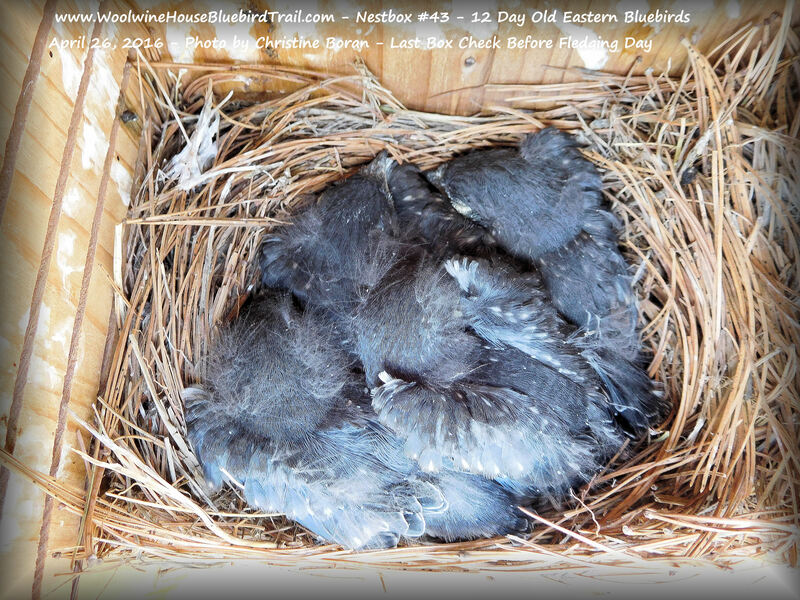 Darling 3-day old Eastern Bluebirds. Can you see all 5? 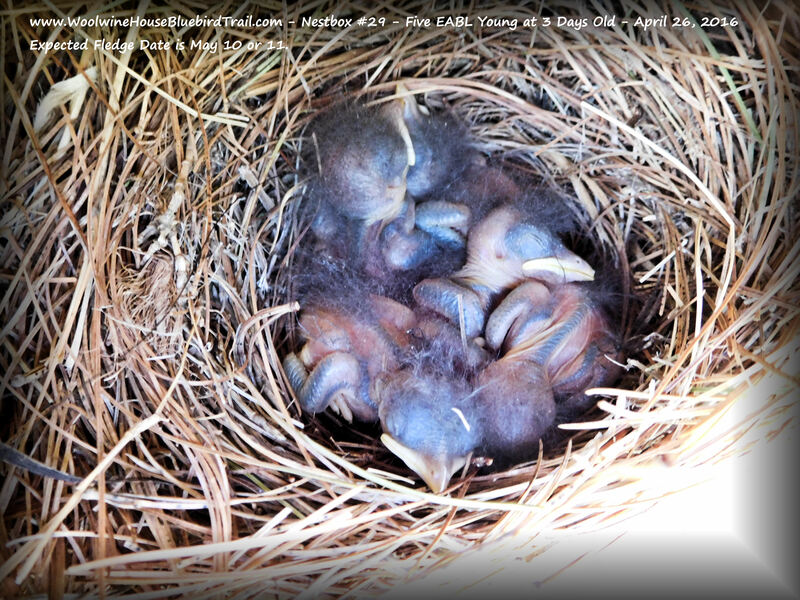 Ahhhh, we have here 12-day old Eastern Bluebirds looking very snug and fed. One reason we NEED to monitor at least weekly is to take care of problems! If I did not take care of this issue, no birds will use this box, will they? Ooops….another problem….this box is being taken over. 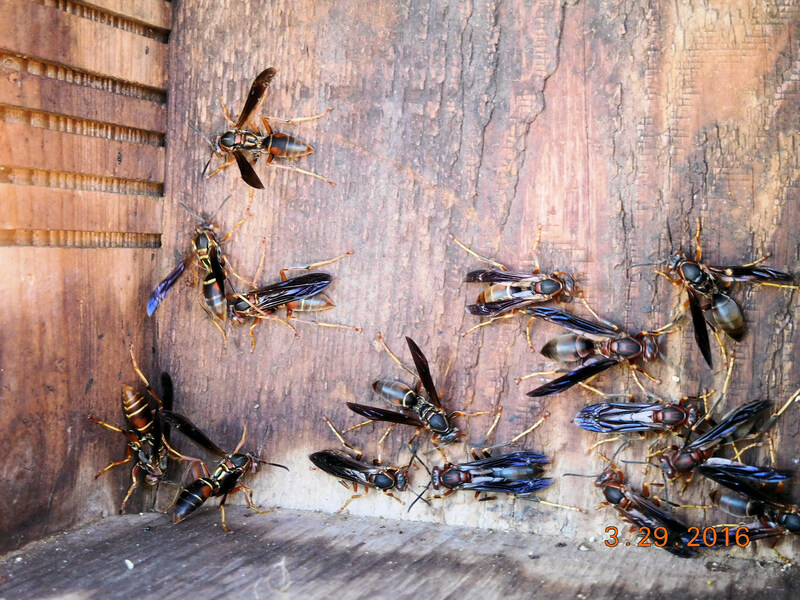 This is the native species paper wasp and quite docile. I told them to go elsewhere. Pretty Mrs. Chickadee is being brave. Wait! Let’s not forget Mrs. Bluebird, too! Look how beautiful she is!